Not Seeing Results? Its Time For YOU To Activate Your Breakthrough! Click Below To Find Out How…. ……..Please Read This Powerful Testimony Below………. I hope you all had an enjoyable weekend as we now enter into a new month may this month may you shine in the anointing of progress. August is the 2nd month under the quarter of the Face of the Ox and it is the month of Divine Progress. August is also the 8th month of the year and No. 8 means New Beginning! 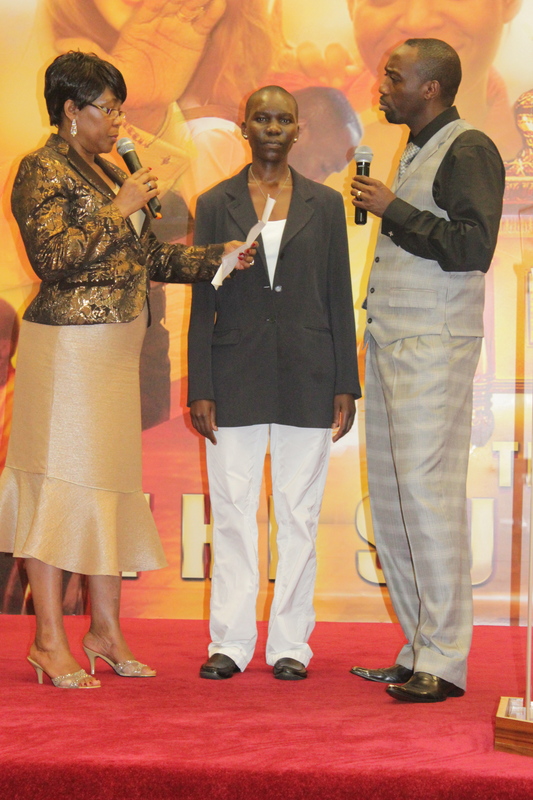 This woman’s testimony is so powerful just by coming to church activating her faith and completing her deliverance, she has received her breakthrough. It’s all about receiving the word and putting it into practice. So many people give up and think nothing is happening in terms of there breakthrough. patience and persistence is the key. No matter what happens don’t be moved in your circumstance This Weekend at The Kingdom Church we had our School of Healing and Deliverance Service many people called our prayer lines and used there faith to receive there healing. We had a powerful 3am saturday service where we prayed and broke every Overcoming Terminal Sorcerers spirit over our lives. Saturday we had our professional meeting where many helpful tips on how to operate in the spirit of excellence in everything that you do. Last but not least our Powerful Super Sunday Services where I taught on The Anointing Of Progress (Milestone 1) and I must get my breakthrough Miracle Service. Child of God this is the month for you to step out to receive your breakthrough in your circumstances. This is the month for your divine progression and for your breakthrough! To Purchase the Live Audio from this weekend Click below for your chosen service! Super Sunday Miracle Service I Must Get My Breakthrough! Friday at 7:30pm is our Miracle Anointing Of Hands Service. The Man Of God will be anointing you personally and removing every curse of bad luck that was released against you from jealousy, hatred, witchcraft and more! 8-9 AM it’s Morning Glory! 9-10 AM Prophetic Hour with the man of God – no appointment needed, just be sure to turn up early. Come and View on The Kingdom Church London FB Page a new Edition of Kingdom Principles and our Weekend In pictures and testimonies from The School Of Healing & Deliverance and our Super Sunday Services! IN NEED OF PRAYER OR DELIVERANCE? REMEMBER THERE IS NO DISTANCE IN PRAYER! OUR PRAYER WARRIORS ARE AVAILABLE NOW TO CHAT WITH YOU AND PRAY WITH YOU LIVE FROM OUR WEBSITE LOOK OUT FOR THIS ICON AND CLICK TO CHAT! Today Discover The Blessings For YOU & The Generations To Come! Read Prophetic Word From Bishop Climate! Join Us Tonight For An ALL NEW Open Mic LIVE Event At TKC London!